A walk full of surprises in the heart of the Jura forests. The Caves of Vallorbe, at the mouth of the river Orbe, deserve a memorable visit. 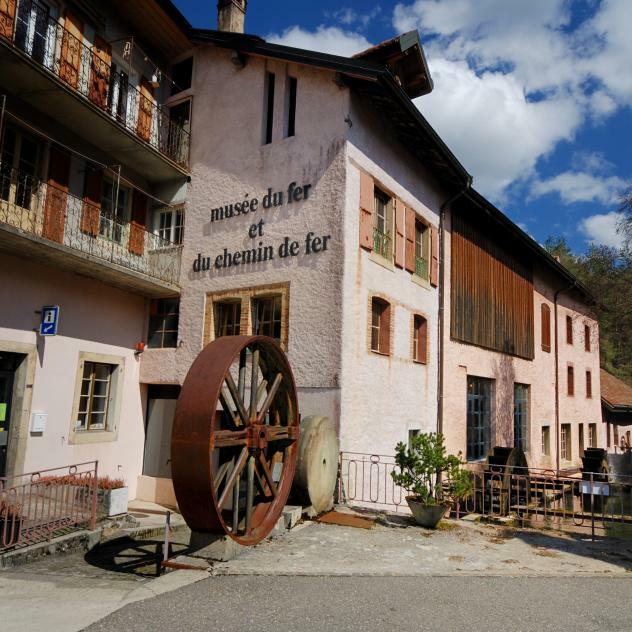 The path then continues along a charming little valley that is misnamed «La Pouette Combe» where you can discover the Fairy's Treasure Trove (not set up for visits), one of the legends of Vallorbe. The didactic path offers views of some local tree species, while Seigne Géret and its ephemeral lake welcomes hikers in spring. After crossing a narrow pass at the foot of a rock face, you will reach the Juraparc nature reserve, where bisons, wolves and bears live in semi-liberty. Juraparc now also plays host to a young herd of Prjevalski horses in an effort to save this wild species. This reserve offers a moment of relaxation, where hikers can also have a bite to eat, before going back down via Gouille à l'Ours and the Fairy's Treasure Trove. Signalization: From Vallorbe railway station, follow the signposts to "La Dernier", "Grotte aux Fées", "Chalet du Mont d'Orzeires", "Pouette Combe" and "Vallorbe". Information centre and tourist reception.